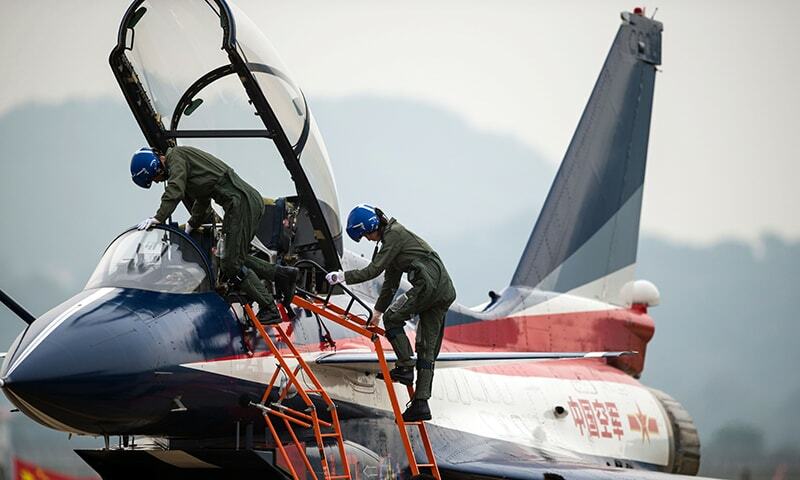 The first woman to fly China’s J-10 fighter plane was killed in a crash during an aerobatics training exercise, Chinese media reported on Monday. Yu Xu, 30, a member of the Chinese air force’s ‘August 1st’ aerobatic display team, ejected from her aircraft during a training exercise in the northern province of Hebei during the weekend, she hit the wing of another jet and was killed, although her male co-pilot ejected safely and survived, China Daily reported. “As one of only four female pilots in the country capable of flying domestically made fighter jets, her death comes as a tremendous loss to the Chinese air force,” the Global Times commented. Yu, from Chongzhou in the southwestern province of Sichuan, joined the People’s Liberation Army (PLA) Air Force in 2005, reports said. She graduated from training four years later, one of the first 16 Chinese female pilots qualified to fly fighter jets and in July 2012 was the first woman to fly the J-10. Fans dubbed her the ‘golden peafowl’, China Daily wrote. Users on China’s Twitter-like Weibo social media service posted pictures of candles in her memory, with thousands mourning her death. “We praise her not as an individual, but for the spirit she transmitted to us, becoming the ideal vehicle for everyone’s hopes,” wrote one user. “Rather than stirring up emotion, the most important thing is to investigate why this accident occurred, was it a problem with the design problem in the fighter, or in the rules of operation, or in inadequate training,” wrote one. Yu rose to become a flight squadron leader and according to the Global Times dreamed of becoming an astronaut. She was one of two female members of the August 1st team ─ named for the date of the founding of the PLA. Yu was seen as a pioneering trailblazer in a country which enshrines women’s rights but where traditional values are still widespread. The J-10 is a workhorse of the Chinese air force.